Francis took responsibility of the IT service of the Worldwide Railway Organisation (UIC) in 2015 and endorsed the position of UIC Chief Digital Officer with the development of the UIC Digital Platform. UIC Digital Platform aims at supporting UIC Members in their digital activities and developments on a worldwide basis and following the philosophy “Share, Open, Connect”. These words could be the motto which leads all his actions. 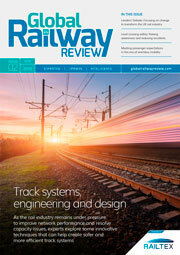 The Railway Industry is currently facing new digital challenges. Key words are today mobility interoperability, inter-modality. Francis and UIC Digital Platform are deeply involved in UIC mission and focus on the way to help Members to give every journey by train a touch of enchantment. Francis started his career at French Railways SNCF in 1982, filling such roles as traffic manager and manager of freight stations. 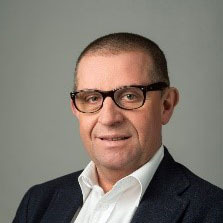 In 1990, he joined SNCF’s IT Department to work on the rollout of a national project aiming to redesign the management of Freight wagons and, from 1993 to 1997, was responsible for the operation of Freight IT local bases. Francis has been in charge of International Affairs for Freight IT at SNCF and among other issues, was European interoperability projects and ensured the relationships with the European Commission. Francis was RAILDATA President from 2013 until the end of 2016. He is also active in many other international activities and projects. Francis is personally committed for over 15 years in volunteer social activities and mostly in humanitarian missions in Western Africa focusing on childhood and education.